I have an idea for my mantle this year. The idea just so happens to include snowballs! 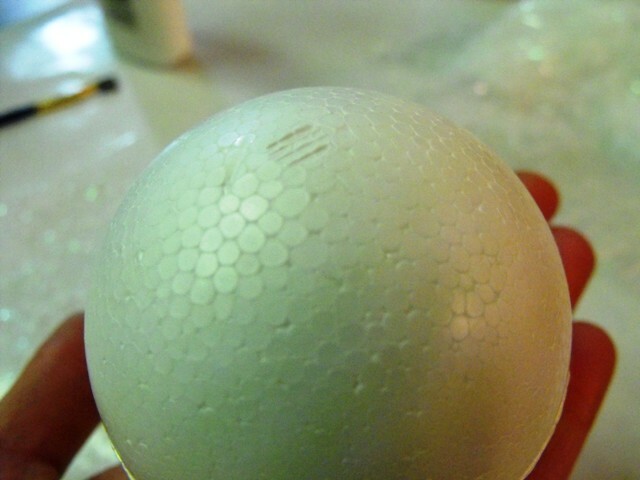 I started with some smooth foam balls. These just happen to have handy dandy holes. Step one of operation mantle complete. I just may finish them all so I can join the Party here. Great idea!! They are so cute and I can't wait to see your mantel! I am excited for the parties as well!! Been working on ideas for my mantel as well for the party! Have fun! Cute idea! I can't believe Christmas is just around the corner. Excited to see your mantle! Oh, so darling. . . Cajun snowballs! Makes me think of the Cajun Night Before Christmas. Do honest-to-goodness Louisiana folks enjoy that book as much as the rest of us do? Or is it only good for those of us who don't know any better? Those snowballs are so cute. I want to make some of those. Thanks for sharing. Love & blessings from NC! It just warms my hear that there are others out there already laying out their Christmas plans on decor etc etc! 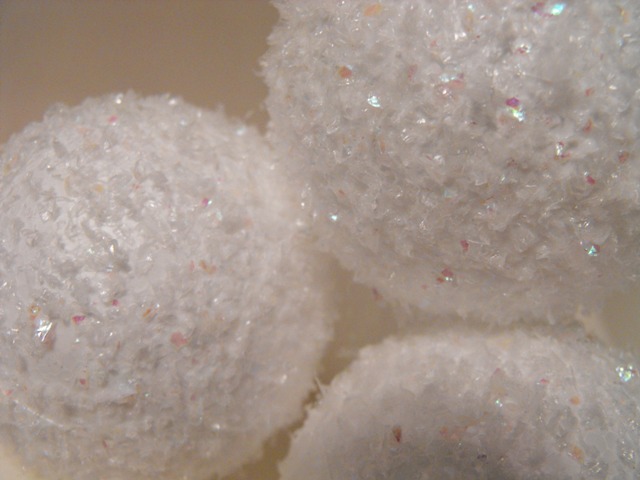 Love the snowballs ~ I'm into faux snow! I love this! they look so pretty, I will definitley be making these this year. thanks for the idea! Oooh, oooh, I want to join. I can't wait to see all of the mantles. I still have the wonderful sign you made for me hanging above mine. I have a feeling it will be there for quite some time! Easy and so stinkin' cute! I'm sure they'll bring lots of sparkle to your arrangement. That just seems way too easy to be so cute. I may just have to try it to see how I can screw this one up. Nice job! Love these! I posted some last week from BHG, using toothpicks? They'd look great mixed in with yours! Oh that is so cute!! Can't wait to see your finished product!! These are beautiful and I'm already in full Christmas mode! 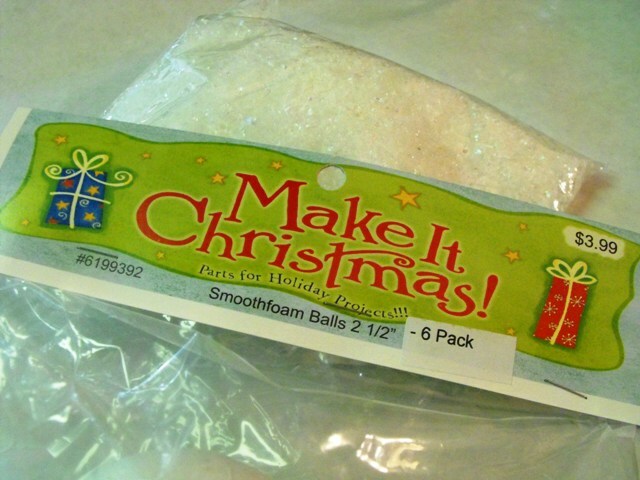 Time to make the snowballs!!! These are wonderful! I have snowflakes that have that same glitter on them. Might have to make some snowballs to match. Thank you for sharing! Aw, these are so pretty. I think I'll hang a few with fishing line among my snowflakes in the window this year. Love 'em ... 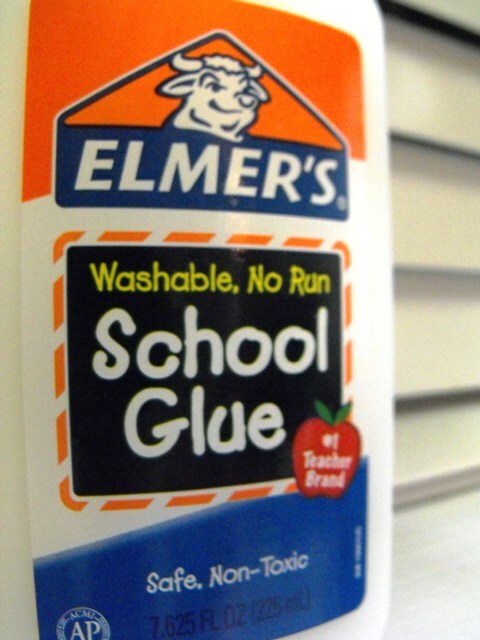 Your mantel is gonna be so stinkin pretty! Love it that I always get a preview! There is just nothing better than a little sparkle for Christmas. 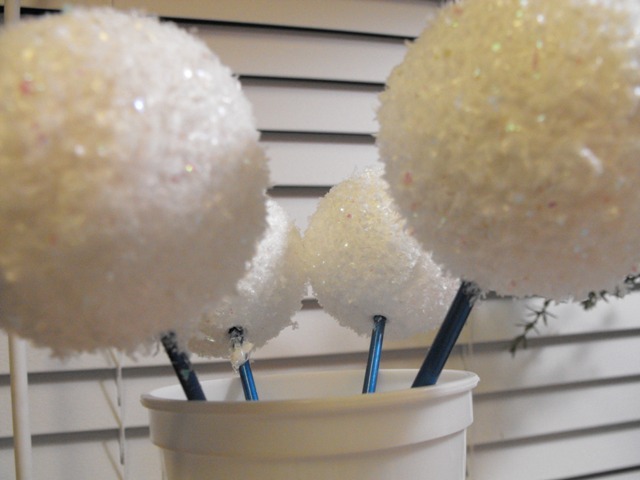 Can't wait to see how you use your sparkly snowballs! Oh, I Love them!! 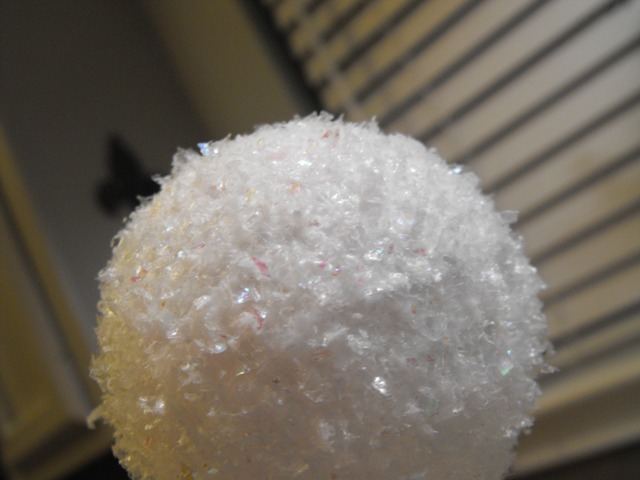 I'm all about snowballs and glitter!! Thanks for the idea! But where did you find smooth balls?? i've only seen the regular ones. Perfect! I love your snowballs! So cute - can't wait to see how you put it all together. 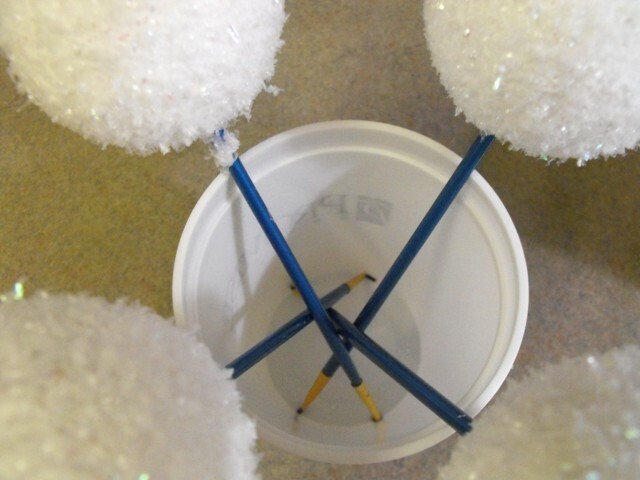 Hi there- just came accross your blog via Miss Mustard seed.These snowballs are an excellent idea!! Love them !! 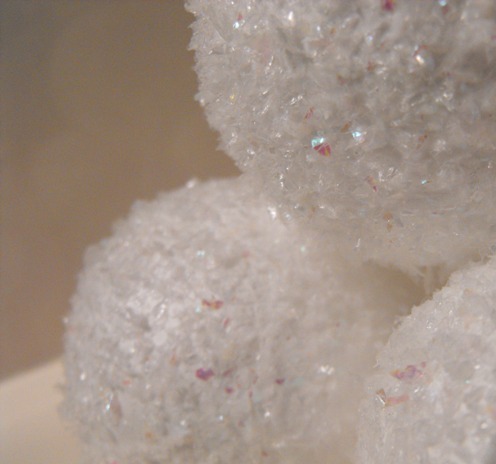 Love these sparkly balls. I can see them in tall apothecary jars. I'm enjoying my vist to your blog. Oh how pretty! Thanks so much for this, I'll be linking. Pretty! I have tried these before but these looks lovely.....maybe I needed to use the smooth balls as you recommended! Hi, I'm new to your blog. Stopping over from my friend Lisa's A Vintage Vine blog. I love what you have done w/your holiday decorations. 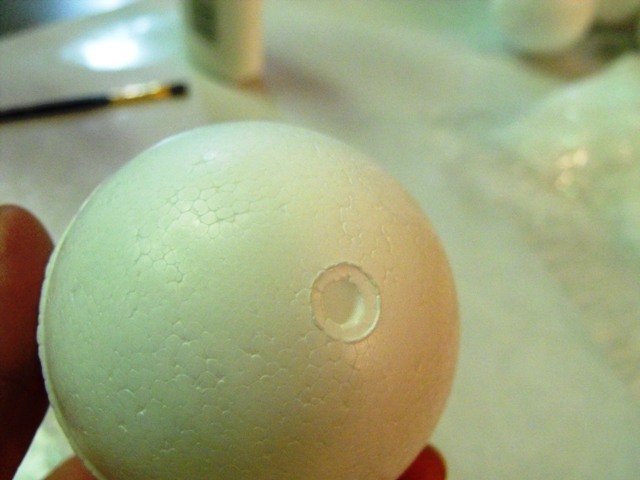 The snowballs are a great idea. Love it.